"I am always doing what I cannot do yet, in order to learn to do it." 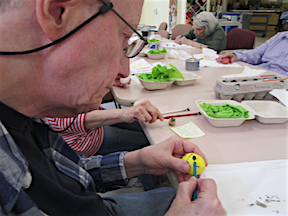 The Art Trip to the 37th Annual Smithsonian Craft Show takes place on Thursday, April 25, 2019. The bus departs GHBC at 9:45 a.m. and will depart the Building Museum at 12:15 p.m. Tickets for the show are $15 plus the $15 transportation fee ($30 total). The sign-up sheet is in the Resident Business Center. 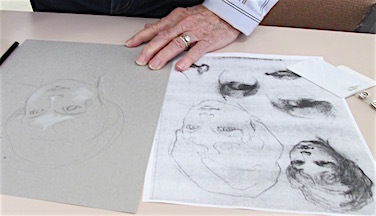 10:00 a.m. – Scratch Art Collage – This week use scratch art papers to create collages. In today’s class use wood sticks to scratch the surface of paper that has beautiful colors and designs embedded in the paper. 1:00 p.m. – Art Film – The Great Artists – Art historian Tim Marlow explores the lives and works of the greatest artists in history in this 14-part series. This week the documentary covers the life of Albrecht Durer and Michelangelo. 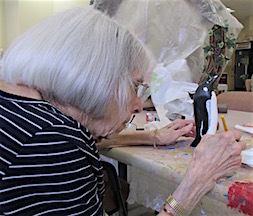 10:00 a.m. – Ceramics – Continue to work on ceramic projects from Saturday’s class or develop your own independent ceramic project. 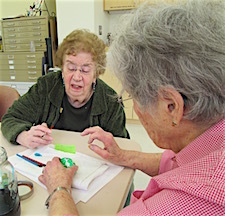 1:00 p.m. – Scratch Art Collage – Cut out shapes made from the beautiful scratch art papers. Using other colorful papers, cut out patterns and designs and place them on a white piece of paper to form your one of a kind collage. 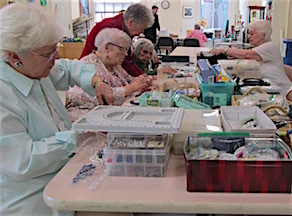 10:00 a.m. – Jewelry Making – Resident artist and jewelry expert Sandy Bohannon will teach you all there is to know about making a beautiful piece of jewelry. 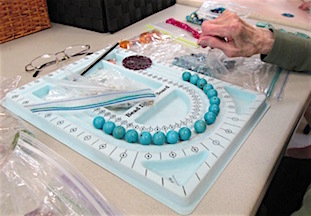 This class is for beginners and advanced jewelry makers. 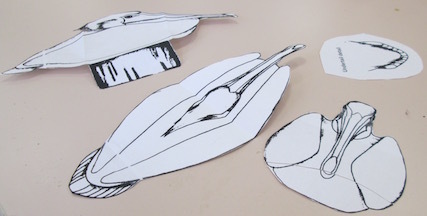 1:00 p.m. – Collaborative Collage Project – Today we will combine the individual collages completed from the previous two classes to create a large mural collage. Come by the Art Center and see this beautiful piece of art. 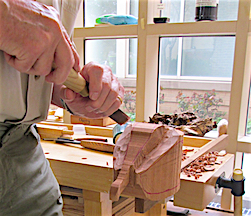 2:00 p.m. – Woodcarving – Master woodcarvers Joel and Mike will teach you all there is to know about woodcarving. Come to the class and see some of the projects residents are currently working on. Joel and Mike will show you in a simple step-by-step process how it’s done. 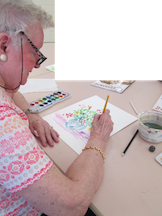 9:45 a.m. – Watercolor Painting – Using a special plastic watercolor paper called Yupo, paint a series of beautiful springtime paintings. 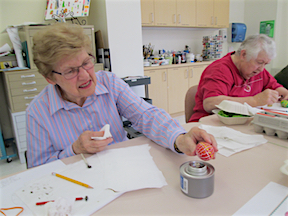 10:00 a.m. – Ceramics Class – Instructor Ellen Smithey is back, ready to lead the class in another exciting project. 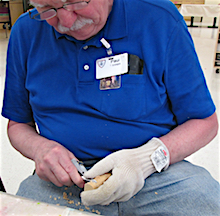 Smithey has a degree in ceramics and will teach you techniques to create beautiful pieces of ceramic art! This class is open to all skill levels.